Darien Young Man, a senior at Red Cloud High School, was the top winner among a group of twenty high school students that participated in the statewide business plan competition during the Lakota Nation Invitational (LNI) that took place in mid-December at the Rushmore Plaza Civic Center. Young Man received an LNI jacket and $1,000 scholarship as the 1st Place Award in the Senior Division for her solar architecture and home building business idea. Other winners of the competition included: Mahpiya Spotted Tail from St. Francis High School with a 2nd Place Award in the Senior Division; Olathe Schmidt from White River High School with a 3rd Place Award in the Senior Division; Tiffany Standing Bear from White River High School with a 1st Place Award in the Junior Division; Lelani Bull Bear from Little Wound High School with a 1st Place Award in the Sophomore Division; and Edgar Bone Shirt from St. Francis High School with a 1st Place Award in the Freshman Division. 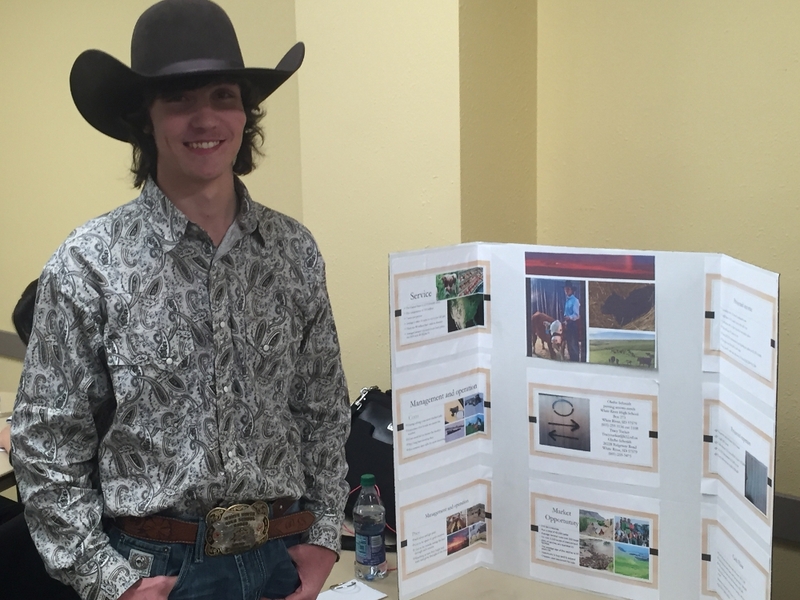 Business ideas presented in the competition included energy consulting, ranching, entertainment, craft supplies, and pet care. All competitors were required to deliver a presentation to a panel of three judges comprised of business development professionals. The entries were judged on several criteria, including market opportunity, management and operations, and financial projections. This year’s LNI business plan competition was sponsored by the Kola Foundation, Lakota Funds, and the Oglala Sioux Tribe Office of Credit and Finance.